The West Prefers a Tan and the East prefers it pale! Yes, I am talking about the skin tone… In the Western countries, the tan might be a symbol of exotic beach vacations, pool parties and such things.. But in the East, tanning isn’t adored or appreciated! Now, although complexion hardly matters, we still want to retain our original skin tone rather than getting tanned and artificially darker! DESCRIPTION: For all skin types. This exfoliating scrub is blended with pure papaya fruit to dissolve dead surface cells, unclog pore openings and smooth the way for clear skin to surface. Gentle refining action uncovers skin’s natural brightness for a younger looking complexion. TO USE: Massage on wet face and neck with finger tips. Avoid eye area. Remove with water or damp washcloth. Use daily or as needed. Papita fruit and seeds 5%, kela fruit pulp 3%, khajur fruit pulp 2%, neem bark 5%, methi seeds 1%, yashad bhasm 5%, banhaldi rhizome 1%, aam beej 1%, beez wax 3.5%, kikar gum 1.5%, moongphali oil 2.5%, purified water q.s. COST: INR 199 for 75g. 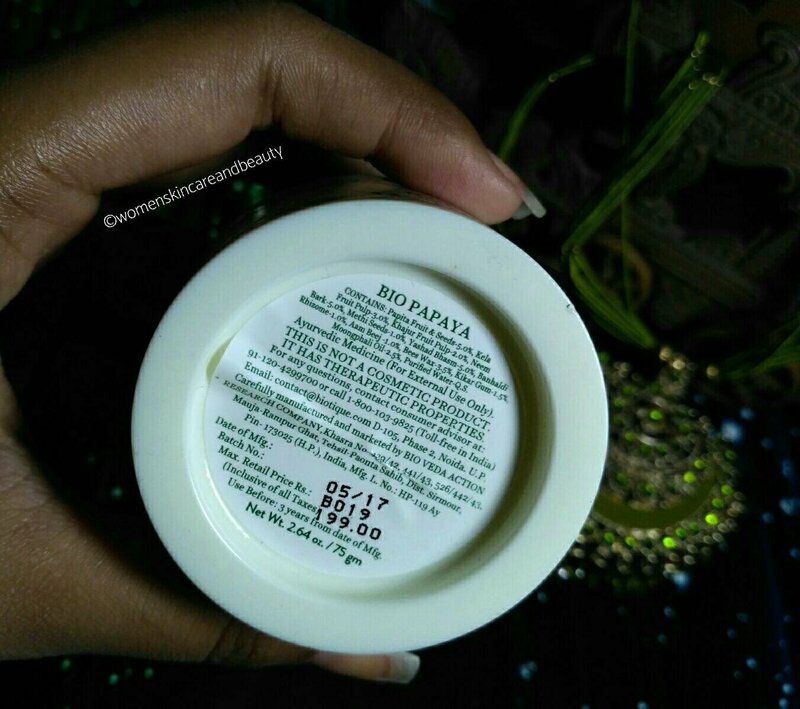 This bio-papaya scrub works great as an exfoliator, scrubbing away all the dead and dry skin cells and unclogging the pores.. So, it stands true to all its claims of being a tan-removal scrub! 3. Works great as an exfoliator. 4. Works up to a great extent as a tan-removal scrub. 5. Doesn’t make the skin dry or stretchy. 6. Suits acne prone skin. 1. The scrubbing granules are quite big and harsh on the skin. 2. Might be very harsh for sensitive or thin skin. 3. Cannot be used as a daily tan removal scrub because of the above mentioned reason. 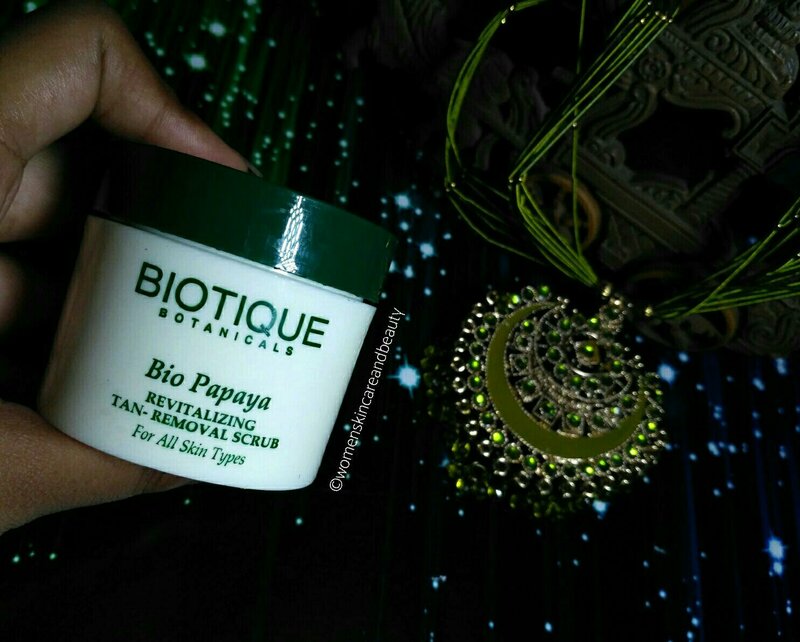 FINAL TAKE: Biotique Bio Papaya Tan Removal scrub is a really great scrub that does what it claims to do and would suit “mostly” all the skin types.. The only con for me is that I can’t replace my daily tan-removal scrub with this due to its harshness! I use potato mash and tomato mixture for removing tan..
Papaya is a natural de-tanning expert given by nature. I kind of like Biotique products, and when the same goodness is packed in box why not! I use this biotique product and it removes tan effectively. I love their herbal range. Yep, it does look a it harsh on the skin. Good for body! Have used this and found it good to be used once in a while but not daily..but yes it does give a feeling of fresh skin. When I start reading I was so happy to read the ingredients list and the effects too and i was keeping in my bucket list too. But at the end when I saw about the granules, i just changed my mind, as my sensitive skin always reacts to harsh granules. Thanks for such an honest and detailed review. This looks nice and my recent vacation to the beach a month ago and am still not completely rid of my tan.. I agree that the packaging should change , we all need some changes! I guess the product would be delivering as biotique is a great brand! I agree.. the granules are really harsh! Himalaya scrub is really good.. this one has a bit harsh granules! I have used one of their masks recently and felt as if I am rubbing skin with glass pieces. It hurt me badly so I stopped using it after that. Otherwise, i have used other products by this brand and have had a good experience. Would like to try this scrub. This scrub has really harsh granules.. i found it very harsh for face! 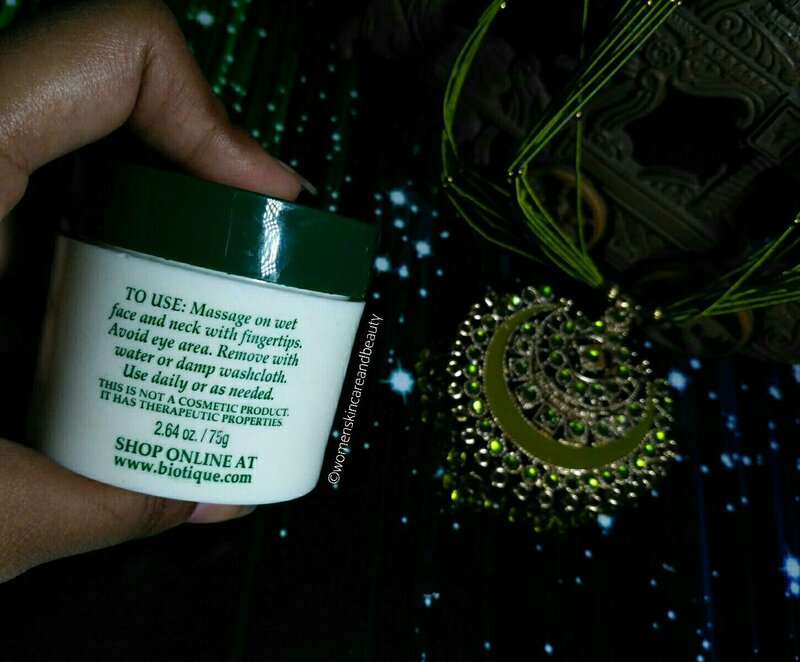 my skin is sensitive… i don’t use scrubs usually… never tried this one.. 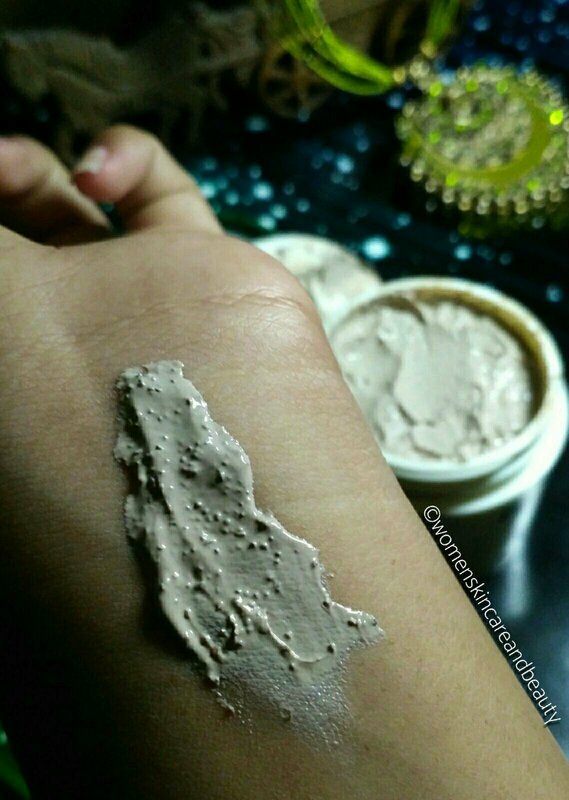 Skip this anyways if your skin is sensitive.. it’s very harsh! I haven’t tried any of their products yet. But would like to try this one. BIOTIQUE has some really amazing products.. do check them out! I found this scrub harsh for my face too! I just ended up using this on my body to remove tan. 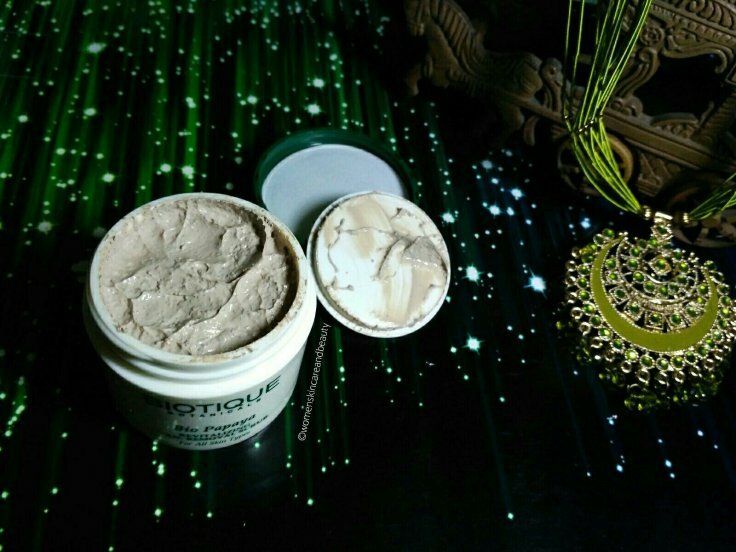 Though I haven’t used this I blindly trust biotique products……..